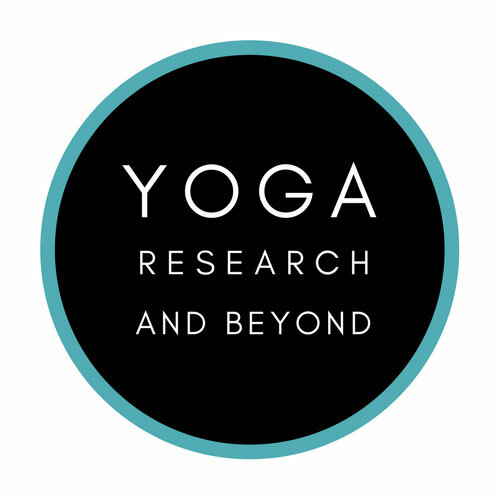 I recently created a series of social media posts designed to help yoga teachers become better-informed about the complex topic of pain science. Pain science is growing in its reach in the therapeutic, fitness, and movement world, and even though yoga teachers generally don't treat people for pain (unless you're also a physical therapist or other health care professional in addition to being a yoga teacher), pain science actually has many important implications for us beyond the subject of pain itself. As yoga teachers, if we take the time to learn about even a handful of some of pain science's most fundamental insights, we'll be rewarded with a more current and accurate paradigm for approaching and dialoguing about not only pain, but movement, yoga, and bodies in general. 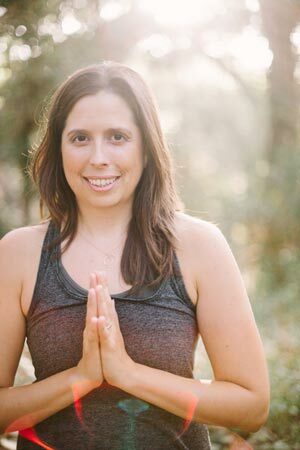 Here is a re-cap of the series of four posts that I shared through my social media channels so that they can be read all in one place together, and I'll follow up with Part 2 of this blog post series with some additional, new thoughts on how and why all of this might matter specifically to us as yoga teachers. I hope you enjoy perusing this info - feel free to share with your networks if you feel that it would be beneficial! PAIN SCIENCE FACT #2: Pain is an output of the brain. This is an often-cited pain science insight - but what does it actually mean? Remember that pain science involves a major perspective shift in how we see the body, so we really have to wrap our minds around some new concepts here. Typically, when we experience pain, we tend to think of the pain as being located "in our tissues", and our brain then senses it there and THEN we feel it. In this view, pain is an INPUT to the brain because it first exists "out there" in the periphery of our body, and then we sense it centrally (in our brain). As intuitive as this "input" idea seems, it's actually the opposite of how pain really works! In reality, there is no pain *anywhere* in our tissues that is inputted to our brain. Instead, pain is a creation OF the brain that is meant to signal us to take protective action against a perceived threat. If you feel pain in your shoulder, for example, it's because your brain is *outputting* a warning signal to you about that area for some reason. Pain is therefore not an input from your tissues to your brain - it's an output from your brain to your tissues! How mind-trippy is that? Now your brain might be correct that this painful area is under threat (especially if you recently injured that spot - too many sloppy chaturangas, anyone? Heh heh...) But your brain might also be wrong in its conclusion that the area is under threat - especially if there is no recent tissue damage there. And pain without tissue damage (and vice versa - tissue damage without pain) happens ALL. THE. TIME. Refer back to Pain Science Fact #1 to review this concept, and then see if you can put Fact #1 and #2 together to start to build your new pain science-informed paradigm. PAIN SCIENCE FACT #3: We've already covered (in a very simplified way) the fact that pain is an output FROM the brain, not an input TO the brain. Pain doesn't exist in one's tissues to be sensed by the brain - it is instead a creation OF the brain to be sensed in one's tissues. But why and when does the brain choose to create pain? We used to believe that all pain experienced in the body was the result of tissue damage somewhere inside of us - in other words, we thought pain was always the result of some structural problem. But we now understand that tissue damage is just *one input* that the brain considers when deciding whether to emit a pain signal. In addition to tissue damage, the brain considers inputs like past memories, emotions, expectations, beliefs, one's environment, things that health professionals say, and more when deciding whether to output a pain experience in any given moment. All of this information processing happens unconsciously, and in just a fraction of a second. Now that you know this, think about someone who experiences a persistent pain in their low back (like 80% of us will at some point in our lifetimes). Here is a list of common reasons given when someone has back pain: your spine is out of alignment, you have a herniated disc in your spine, you have poor posture, you flex your lumbar spine too much, your SI joint is dysfunctional, you sit in a chair too much, you have SI joint instability, your core is weak, you have a vertebral subluxation, you lack core stability, your back muscles are tight, etc., etc. This is a really long list of commonly-cited reasons for back pain, but the interesting thing is that they are ALL structural reasons - meaning that they all have to do with the physical structure of the body. But remember our new Fact #3 from today: the brain takes MANY inputs into consideration before deciding to output pain, and structural inputs are just ONE category of inputs. Combine Fact #3 with Fact #1 (the link between persistent pain and tissue damage is often quite weak), and your paradigm for how you think about someone's back pain might begin to shift and expand. PAIN SCIENCE FACT #4: We often believe that our body is naturally vulnerable in certain movements or postures, like lumbar flexion, forward head posture ("text neck"), etc. We believe that these positions will injure our tissues and create pain, often blaming someone's low back or neck pain on these "bad postures". What this viewpoint (that I used to share too!) overlooks is the fact that the tissues of our body are adaptable and become stronger when they are loaded (as long as the load isn't too high). Any movement that you desire to do is a "good" movement as long as your tissues are adapted to withstand its loads. (This is a super oversimplified explanation, but for more info, check out my blog post Are Some Movements Inherently Bad? (which was also re-printed in Yoga International). Additionally, recall Fact #3 of this series - *many* inputs contribute to pain, not just structural ones. Recent research has strongly suggested that our *beliefs* about pain can directly influence our pain. For example, if we believe that a certain movement is bad for us, this can create what's called a nocebo - the creation or increase of pain or dysfunction based solely on negative expectations and beliefs. BIG TAKEAWAY: The issue isn't that we need to *avoid* certain "bad" postures and catastrophize them - it's more that we want to move our body in a *wide variety of ways* so that we can be strong and adapted to many different positions. Movement variability is more important than fear of movement! That concludes the series of posts that I shared through social media, but keep your eyes out for Part 2 of this series, which will attempt to address why all of this matters specifically to us yoga teachers. In the meantime, I also wrote a helpful introduction to pain science in Yoga International earlier this year (see "Yoga & The New Science of Pain"), and at the bottom of that article I included a lengthy list of links for further reading for those interested. Enjoy exploring this topic further if you feel so compelled!